Size: approx. 35 mm. Photo: 08/13/14, 10 pm. Canadian Melanolophia? 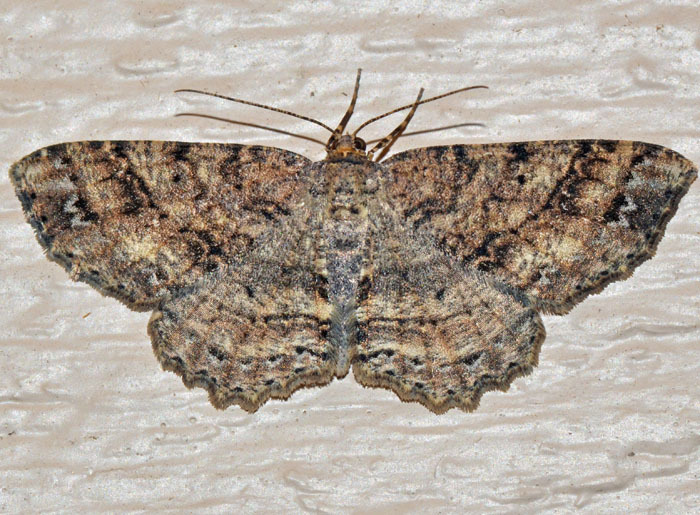 I hope this moth has a proper visa! The genus has five species in North America. 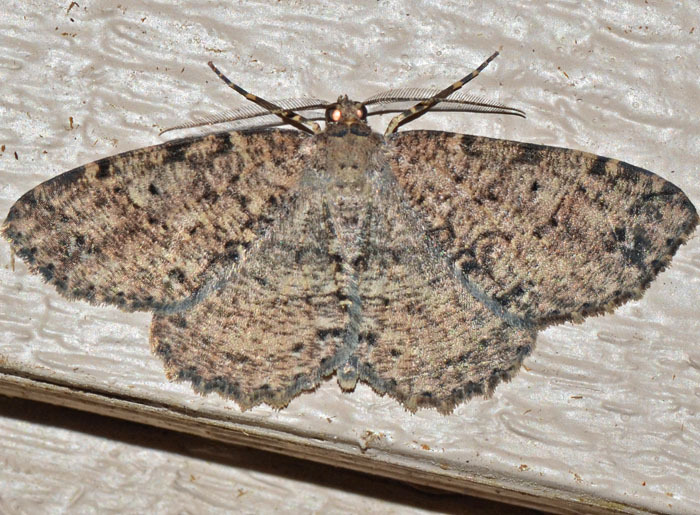 It has mottled, brownish or grayish wings and often a sea-gull like, dark feature near the center (which seems less obvious in this specimen). The larvae feed on a various trees including pines and oaks. The small photo below shows a female (photo from 05/13/15).